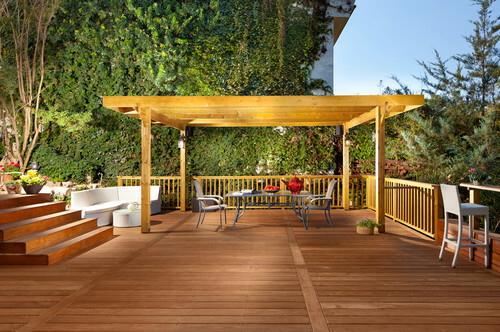 KAYU® Golden™ is a mixture of warm golden-reddish-browns and golden light-browns. Typically chosen for its rich hue and subtle grain. A carefully selected Balau/Bangkirai hardwood species and one of the hardest, strongest and most durable of all hardwoods; highly resistant to decay, insects and molds. Class-A flame spread rating, 100% clear grade, kiln dried and always double inspected by KAYU exclusive graders.